Gabriel with his big brother, Ethan. 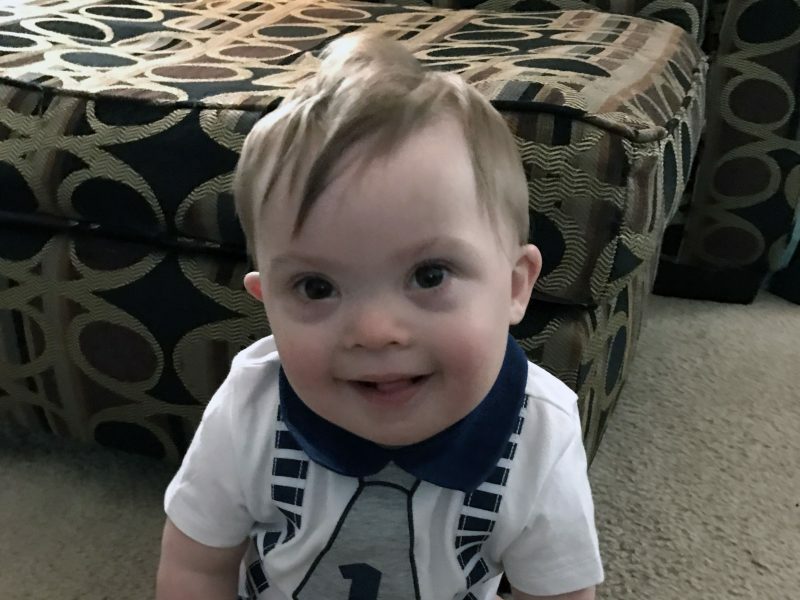 After her baby, Gabriel, was born with Down syndrome 17 months ago, Hilary Tonni locked in on what she had to do to ensure he will lead a full and successful life. 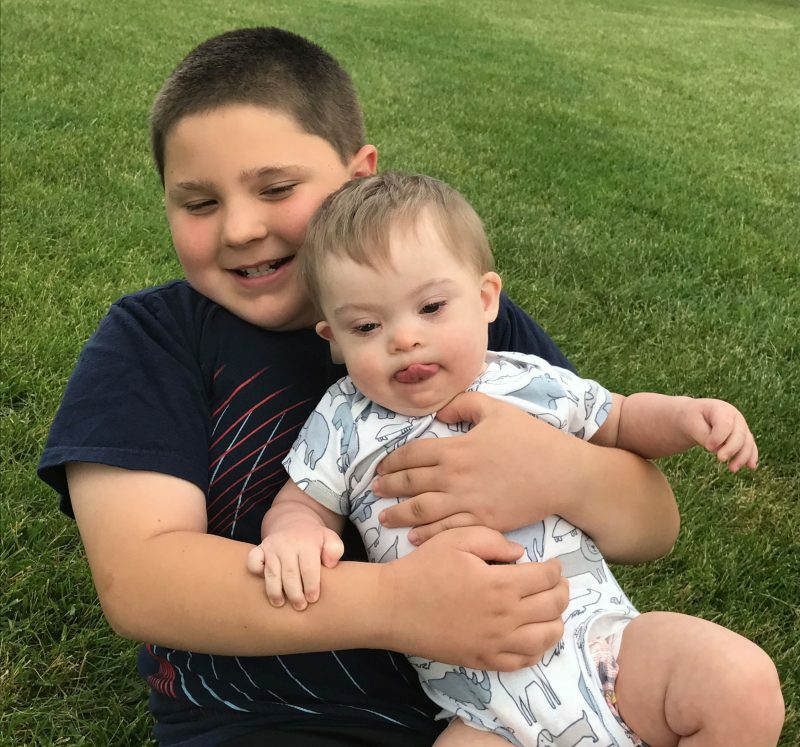 Like most parents who learn their child has Down syndrome, Hilary, a clinical research nurse at Akron Children’s Hospital, and her husband, Bill, a nurse at Cleveland Clinic Akron General, were afraid at first. Children with the genetic condition have cognitive delays. Hilary and Bill educated themselves, and they learned that early intervention, appropriate educational services and support at home will help Gabriel achieve academically, socially and otherwise. Gabriel, now 17 months old, loves to be held by his brother, Ethan. Hilary sensed that stereotypes still are widely held. She wanted to use the opportunity of Down Syndrome Awareness Month in October to dispel them. Gabriel on his first birthday. Many people with Down syndrome go to college and live independently. They work, date, marry and enjoy strong social connections. They are able to learn and develop skills throughout life. Gabriel began physical and occupational therapy at about 4 months old, and he now is in speech therapy as well. 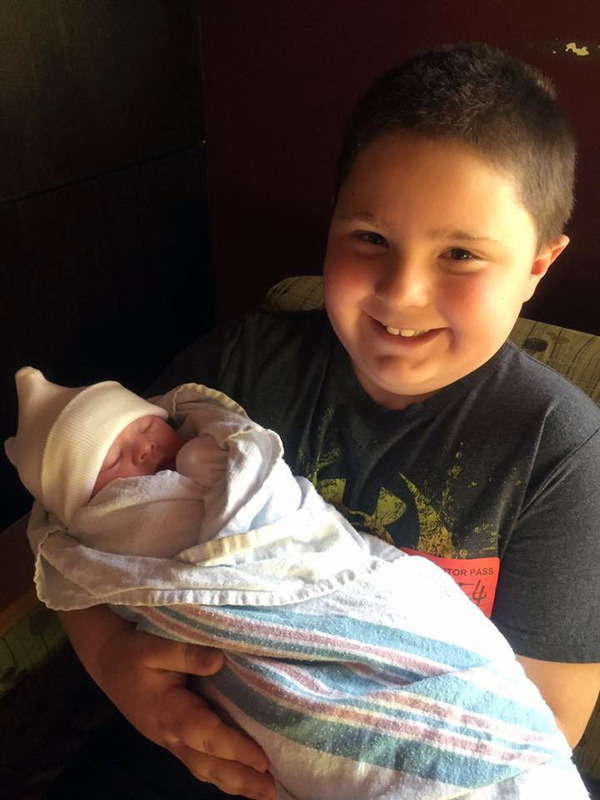 The Jackson Township couple also has a 9-year-old son, Ethan. “Gabriel is a little delayed. He’s not walking yet and he still has a few issues with eating. But on the spectrum of things that could have happened, he’s relatively okay,” Hilary said, noting that many Down syndrome kids have heart defects and other medical problems. During a recent visit to Akron Children’s Hospital, Gabriel seemed content climbing on mom, reaching for anything he could tug on. She is comfortable in her new role as an advocate. “I think it’s extremely important to advocate for kids with Down syndrome in all aspects – in medical care, in school and in life in general,” she said. 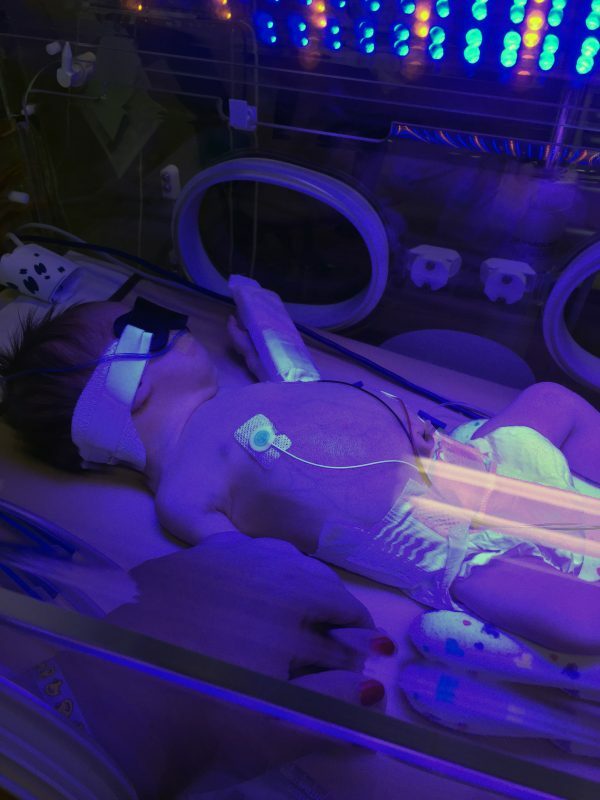 Gabriel was in the NICU for about 1 month due to surgery for Hirschsprungs disease, which is when nerve cells are missing from the muscles of the colon.